A powerful new hotel initiative that promises to stir up a new round of international enthusiasm for Sri Lanka is taking shape on one of Asia’s fastest-growing island destinations. This month, the Galle Face Hotel Group and the Louis T Collection will come together in a strategic partnership that will link two complementary organisations. Collection is a hospitality management and building solutions company. “Now’s the time,” said GFHG chairman Sanjeev Gardiner. 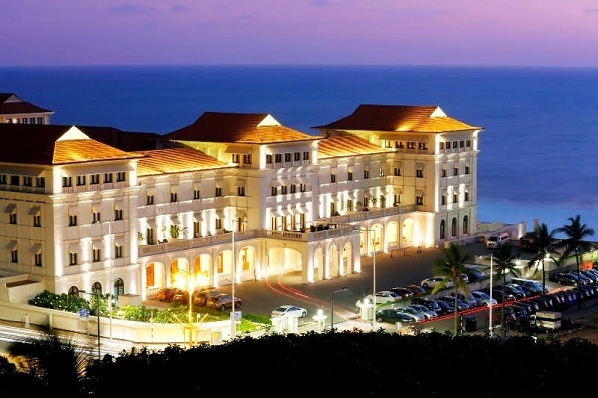 Louis T plans to further boost the operational performance of the Galle Face Hotel, and strengthen GFHG´s retail and asset management capabilities. “A hotel is more than just a comfortable place to stay,” said chief executive and co-founder of Louis T, Grant Healy. The Galle Face recently concluded a 30-month restoration project on the iconic 152-year-old hotel. The extensive renovations completely remade the North Wing’s 72 rooms and suites, its restaurants and bars, lobby, and ballrooms. The hotel also added an expansive executive lounge with sweeping views of the Indian Ocean from a private terrace; restored the carriage porch, bringing the facade back to its early design. The grand porch also serves as a 60-square-meter private balcony for the Empress Suite, one of the hotel’s eight one-of-a-kind luxury suites. On June 22nd, Galle Face Hotel will re-open Sea Spray, an upscale seafood restaurant which boasts the largest oceanfront dining perch in the capital.